The North Shore City Council’s Online Consenting Portal has won the 2010 Computerworld Excellence in the use of ICT in Government Award. 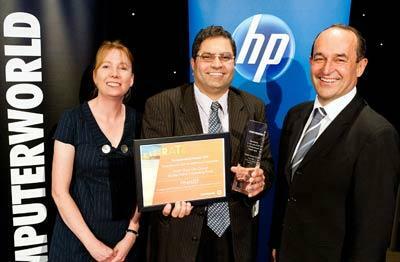 The Award, which is sponsored by HP, was presented at special function at Te Papa in Wellington last night. The council’s project was one of six finalists in the Award, which celebrates successful government IT projects. The Online Consenting Portal project enables building consent applicants to lodge their applications online, in a secure environment, and trace the process of their application. Council staff can access details of applications while out of the office, via 3G mobile, which is integrated into the system. The software had already won awards from the Association of Local Government Information Management before it was entered in the Computerworld Excellence in the use of ICT in Government Award. Entrants are required to provide detailed submissions, with finalists and the winner selected on the basis of: the extent to which they have achieved their stated objectives and business case; the extent to which they have made a difference; and the benefits to the New Zealand public, among other criteria. The other finalists were: Auckland District Health Board, for Mobile TeleHealth;Auckland District Health Board, for ASPIRE (Automated Sending of Patient Information to Recipients Electronically); NZ Transport Agency, for InfoConnect; the Earthquake Commission, for Field Office Deployment; and the Tertiary Education Commission, for Literacy and Numeracy for Adults Assessment Tool.